By Kenneth Frampton. Edited by Ashley Simone. A Genealogy of Modern Architecture is a reference work on modern architecture by Kenneth Frampton, one of today’s leading architectural theorists. 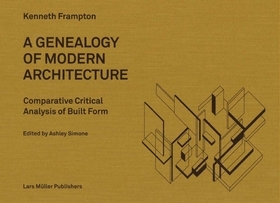 Conceived as a genealogy of 20th-century architecture from 1924 to 2000, it compiles some 16 comparative analyses of canonical modern buildings ranging from exhibition pavilions and private houses to office buildings and various kinds of public institutions. The buildings are compared in terms of their hierarchical spatial order, circulation structure and referential details. The analyses are organized so as to show what is similar and different between two paired types, thus revealing how modern tradition has been diversely inflected. 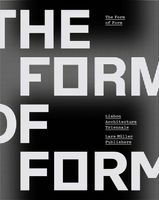 Richly illustrated, A Genealogy of Modern Architecture is a new standard work in architectural education.